Heartburn Drugs directly linked to Dementia and the truth about Baking Soda. Heartburn drugs are directly linked to dementia as published in the Journal of American Medicine last month. In addition, to dementia, other side effects include Increased fractures, heart attacks, and pneumonia. The risk from PPI use in those studied was a 44% increased risk of dementia due to their use! If one goes to the doctor with issues from indigestion and peptic ulcers to GERD’s (gastroesophageal reflux disease) they will almost always prescribe you a PPI (proton pump inhibitor) which includes Prilosec, Prevacid, Nexium, and Aciphex. The easiest solution is to stop using them and shift to baking soda or better yet learn about how dehydration and diet are directly linked to heartburn. It is not our bodies producing too much acid but rather too little of it. Remember that continued irritation/inflammation often leads to producing cancer. What I knew of baking soda over my lifetime till recently included its use in baking, removing odors from fridges and freezers and Archie Bunker using it to ease his heartburn, as have I a few times. Egyptians used a form of it 3500 years ago to help clean and make mummies with. 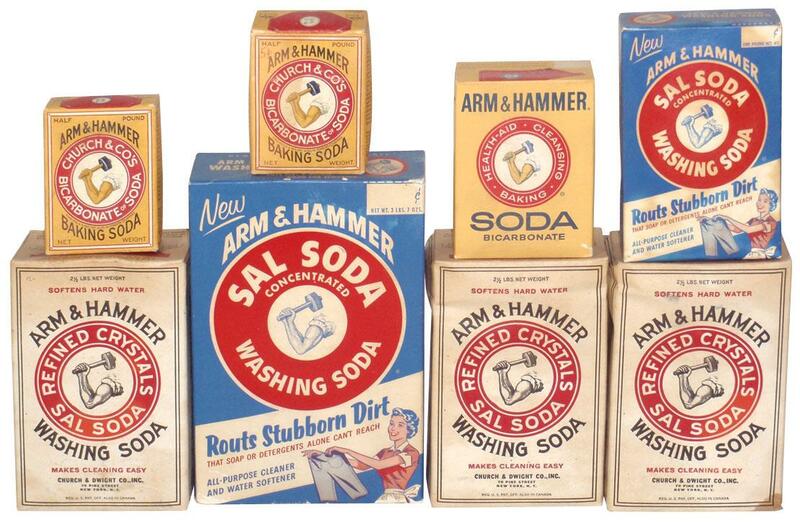 Arm & Hammer come along in 1846 to become the largest purveyor of baking soda. Today I know it to be an amazing and powerful healing “tool” and very inexpensive. Used to destroy cancer cells, absorb radiation, treat cold or flu symptoms, and is great for a natural toothpaste, deodorant, and exfoliant. Just Google it and wow does it replace a host of toxic chemicals! Remember that 95% of all disease or health issue are a direct result of what we are eating and drinking and not because grandpa, or an Aunt had it. We hold the keys to wellness in our consumption, movement, and thoughts. Have a fun weekend, share this as you wish and Be Well! Baking soda has thousands of uses.